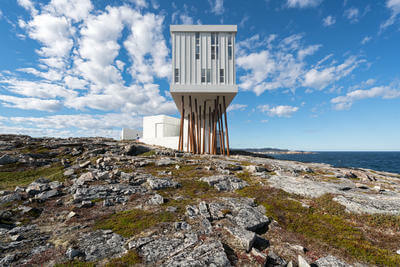 The closest international airport to Fogo Island Inn is Gander, Newfoundland (YQX). A gem of mid-century architecture known in its heyday as the “crossroads of the world,” Gander International Airport took in over 6500 displaced airline passengers after the World Trade Center attacks on September 11, 2001, an event portrayed in the hit Broadway musical, Come From Away. The best routes into Gander are through the international airports located in Halifax, NS (YHZ) and St. John's, NL (YYT) via Air Canada or Westjet, depending on your originating airport. For more on the legacy of the Gander International Airport, click here. From Toronto (YYZ): Year-round, we recommend flying Air Canada Toronto to Halifax, Halifax to Gander. Routings are also available year-round Toronto to St. John's, St. John's to Gander via Air Canada. Direct flights from Toronto to Gander are seasonally available via Air Canada, WestJet, and Sunwing. From Montreal (YUL) and Ottawa (YOW): Year-round, we recommend flying Air Canada Montreal/Ottawa to Halifax, Halifax to Gander. This routing should have you on the ground in Gander by mid-afternoon, and at Fogo Island Inn for supper. 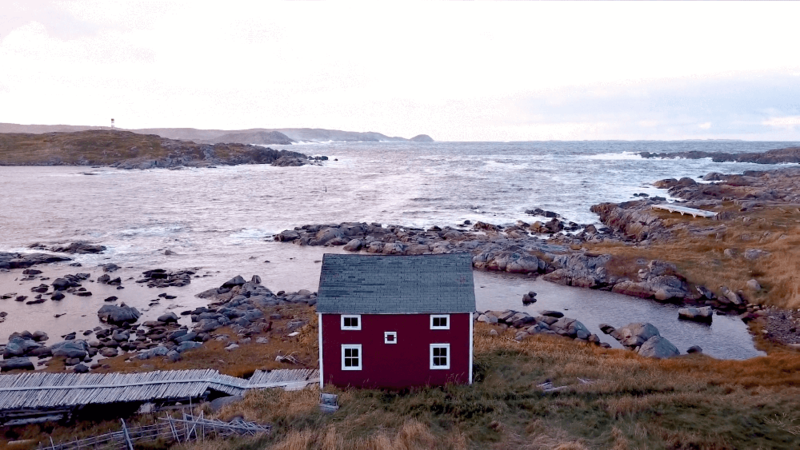 From New York (LGA) and (EWR): Flights to Fogo Island are best served by flying United Airlines via LaGuardia (LGA) or Newark (EWR) to Halifax (YHZ) for a connection to Gander, Newfoundland (YQX). In Summer, you can also fly via LaGuardia (LGA) or Newark (EWR) to Toronto (YYZ) for Air Canada's daily early morning service to Gander, Newfoundland (YQX) via Halifax (YHZ). This routing should have you flying from the USA and on the ground in Gander, Newfoundland, Canada by mid-afternoon, transferring* to Fogo Island Inn in time for supper. From Boston (BOS): When travelling from Boston to Gander, we recommend flying via Halifax (YHZ) to Gander (YQX). Direct flights from Boston (BOS) to Halifax are available daily via Air Canada. From Florida (FLL) and (MCO): WestJet recently announced a new once-a-week direct flight between Fort Lauderdale, Florida (FLL) and St. John’s, Newfoundland (YYT), running from March 11 until May 19, 2019. Westjet also offers weekly direct flights from Orlando (MCO) to St. John's (YYT) and various direct flights to Halifax (YHZ) ranging from 1 to 3 times weekly, depending on the time of year. From Dublin (DUB): Westjet operates a seasonal, direct daily service to St. John's (YYT). We recommend an overnight stay in St. John's and take one of several Air Canada flights from St. John's to Gander the following day. From London Heathrow (LHR): Direct flights are available from London Heathrow to St. John's (YYT) three times per week via Air Canada. Some routings allow for a direct connection to Gander that same day. Otherwise, overnight in St. John's and take one of several Air Canada flights from St. John's to Gander the following day. Direct flights are also available via Air Canada from London Heathrow to Halifax (YHZ): overnight in Halifax and fly to Gander the next morning via Air Canada. *The Inn offers a land-and-ferry house-car pick-up and return service to Gander for $800 (1-4 person capacity). All transfer logistics and accommodations can be arranged by our reservations team at 1 855 268 9277. Most major car rental agencies operate out of Gander and St. John's. Click here for detailed driving directions via Google Maps. A passenger and vehicle ferry, operated by the Government of Newfoundland and Labrador, serves Fogo Island several times each day. The crossing takes about 45 minutes, including some trips that stop briefly at neighbouring Change Islands. During this time, you will be able to take in the stunning Hamilton Sound. Our reservations and guest services team will be pleased to offer guidance regarding the ferry schedule. 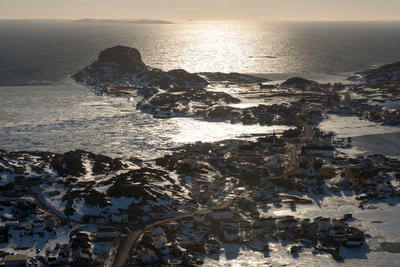 Fogo Island has a 3,000 ft/914 m airstrip (Fogo Aerodome CDY3) operated by the Government of Newfoundland and Labrador located at 49.30.27N 054.14.15W at an elevation of 80ft/24metres AMSL. You can fly directly to our airstrip via charter plane. You can fly commercially to St. John's, Deer Lake, or Gander and then fly charter to Fogo Island, or you can fly private charter all the way. *The airstrip on Fogo Island can easily accommodate a fixed-wing 12-passenger Beech 1900D aircraft, and the 37-seat Dash 100. We can advise you regarding charter helicopter services available from Gander and from St. John's to our airstrip. 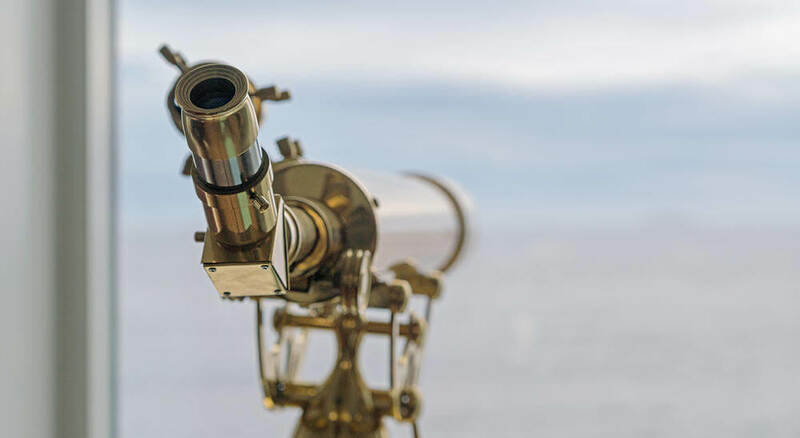 Please consult us for the best fixed-wing and helicopter charter companies in our area, as well as our recommended global partner: Air Charter Service (ACS). ACS operates fully staffed offices across North America, South America, Europe, Africa, CIS, the Middle East and Asia. Their Executive Jets division, based in Toronto, can arrange helicopter, private jet and executive airliner charters across Canada and worldwide. Guests considering booking travel to us via aircraft charter may do so by contacting us at [email protected]. Our reservations team will serve as a resource to secure the best aircraft charter solution for you and ensure that the level of personal service exceeds expectations.